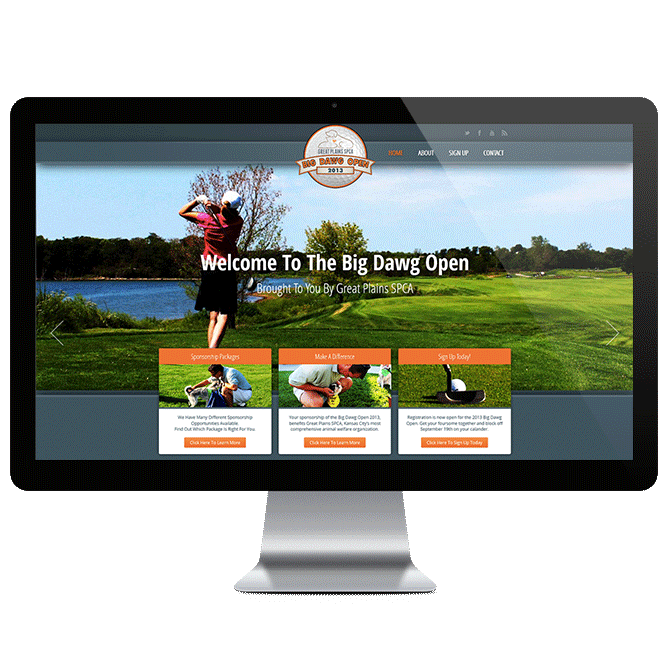 The Big Dawg Open is a golfing fundraiser for Kansas City based non-profit Great Plains SPCA. In the past, the GPSPCA development members would use up to five different Excel spread sheets to track and organize every aspect of the tournament; from golfing groups to prize and sponsorship packages and every other detail. We worked closely to develop a web based solution that would handle all of the structure that the old excel spread sheets, while allowing participants to register online, freeing up time of the GPSPCA staff. The website development solution builds upon WordPress using a contact form to add contestants to the database, which can then be managed through a custom solution in the WordPress admin panel. The new website and administration system saved the staff a considerable amount of time by streamlining the registration process as well as organizing and structuring the information in a way that allows it to be easily accessible from anywhere.